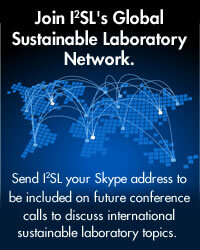 Once again, I2SL is excited about the significant response we received for our 2012 Call for Abstracts. Given these submissions, I2SL has assembled the preliminary conference agenda. Like what you see? Register for the conference! Conference registration is now open, and early-bird rates extend through Friday, July 13. In addition to covering valuable information, the pre-conference workshops on Monday, October 1 and the conference sessions from Tuesday, October 2 through Thursday, October 4 will provide continuing education credits for architects, engineers, LEED® professionals, and others. Also, a pre-conference charity golf tournament and clam bake will be held on Sunday, September 30. Stay tuned for more details and registration. In other conference-related news, nominations for the 2012 Go Beyond Awards are now being accepted. Submit a nomination for this popular awards program! We are also pleased with the continued interest in the Technology and Services Fair. With more than half of the exhibit hall spaces already taken, the hall is filling up fast, so reserve your spot today! The 2012 conference will also present many new opportunities, including recognizing the winners of the I2SL International Sustainable Laboratory Student Design Competition. Nearly 600 participants from the United States and abroad are involved in the competition. Online registration is closed, but interested parties can register through May 22 by contacting the Association of Collegiate Schools of Architecture (ACSA). Judging will take place over the summer, and winners will be honored during the Opening Plenary Session of the Labs21 2012 Annual Conference on Tuesday, October 2. Sponsoring the Opening Plenary Session. Emailing I2SL to provide a commitment to offer a paid internship to winning students. In each case, your organization will be well promoted for its involvement and support of the students. I am also excited to announce that Punit Jain of Cannon Design recently accepted I2SL's invitation to join I2SL's Board of Directors. Mr. Jain has long been involved with I2SL and Labs21 efforts. We look forward to his contributions as a board member. In the Around the Industry section of this issue, you'll find information on adaptive laboratory lighting strategies courtesy of Ms. Kelly Cunningham, Outreach Director at the California Lighting Technology Center. Thank you for the contribution, Kelly! Finally, I2SL wishes to recognize Mr. Geoffrey Bell of Lawrence Berkeley National Laboratory for his commitment to Labs21 from its earliest days to the present. Geoffrey has provided Labs21 and I2SL with a sustained level of commitment and significant technical capability. Though he says he is retiring, I hope we can anticipate continued involvement from Geoffrey. Nevertheless, he will be greatly missed. Let's all wish him our best. Learn more about Geoffrey's contributions to the Labs21 Program and Annual Conference. I2SL is pleased to present the preliminary agenda for the Labs21 2012 Annual Conference. See who will present during this year's Technical Sessions, Symposia, Morning Roundtables, Tool-Torials, and more. Notifications were sent via email last week to all who submitted abstracts to the Call for Presenters. If you did not receive an email, please check your spam filter or contact I2SL. Registration for the Labs21 2012 Annual Conference and pre-conference workshops is now open, with great discounts available to federal employees, students, and those who register prior to Friday, July 13. Additional pre-conference courses, plus more information on this year's offsite laboratory tours, will be available in the coming weeks. Be sure to keep an eye out for future messages from I2SL, and register early, as these great opportunities tend to fill up quickly! Even if you register for the conference early, you will be able to easily add workshops or tours to your registration at a later time. For this year's pre-conference workshop series, we are excited to offer a variety of courses. Workshops will cover topics such as data center efficiency, lighting, building information modeling, and sub-metering. If you are new to the laboratory community, plan to take the Labs21 Introductory Course: High-Performance, Low-Energy Design. See the current list of pre-conference course offerings and sign up for these informative training sessions when you register to attend the conference. The Technology and Services Fair exhibit hall is more than half full, and booths are going fast. Plus, early-bird registration ends June 1, after which prices will increase by $500 per booth. Don't delay, register for your booth today! Also, we are pleased to announce this year's Technology Demonstration and Sustainable Equipment Session presenters. Come learn about the latest and greatest technologies and services being offered by our exhibitors during these special sessions. Are you interested in highlighting your company's products and services through a Technology Demonstration presentation? A limited number of time slots are still available. Contact I2SL to take advantage of this great opportunity. I2SL thanks returning sponsors Phoenix Controls and CRB for their support of the Labs21 2012 Annual Conference! Join these companies and others in supporting the conference. Sponsor early to maximize your exposure to our targeted audience. Now in its fifth year, I2SL's Go Beyond Awards honor individuals, organizations, projects, and manufacturers that "go beyond" the status quo to minimize the environmental impacts of high-technology facilities, including laboratories, cleanrooms, health care facilities, data centers, and vivaria. The Go Beyond Awards are open to all relevant organizations and individuals within and outside the United States. The awards will be presented during the Labs21 2012 Annual Conference Luncheon on Thursday, October 4. Submit a nomination today for a deserving individual, organization, or project! Nominations are due by Friday, July 13. If you missed the most recent I2SL High-Tech Talks webinars Meet Your Energy Cost Savings Goals with Sub-Metering or BIM: The Future for Your High-Tech Facility, you have another chance to catch up on these topics. The recordings of these talks are now available for viewing online. Register for the webinar recordings and learn about these great tools and how to use them successfully. I2SL salutes Geoffrey Bell of LBNL for his nearly two decades of service to the Labs21 Program. Mr. Bell will retire later this month from LBNL, where he works as an energy engineer in the Environmental Energy Technology Division. Mr. Bell has been a great contributor to the Labs21 community and Annual Conferences. He is credited with a number of publications, including serving as a principal author of the Design Guide for Energy-Efficient Research Laboratories. This publication is intended to assist facility owners, architects, engineers, designers, managers, and utility energy management specialists in identifying and applying advanced energy efficiency features in laboratory-type environments. Mr. Bell was critical to the development of The Berkeley Hood, which inspired many manufacturing companies to begin developing their own safe and energy-efficient fume hoods. Mr. Bell is also a regular attendee and presenter at Labs21 Annual Conferences and an instructor for Labs21 and I2SL, sharing his knowledge with others via webinars and in-person workshops. Although Mr. Bell is retiring from LBNL, you may still see him at future Labs21 Annual Conferences and trainings. I2SL thanks Mr. Bell for his many contributions to the sustainable laboratory community and wishes him all the best for his retirement. The Teaching and Research Winery at the August A. Busch III Brewing and Food Science Laboratory won a 2011 Go Beyond Award for its impressive construction. The facility, which houses UC Davis' viticulture and food science programs, is the first in the region to meet all domestic and irrigation needs through stormwater harvest, facilitated by a 176,000-gallon rainwater storage system. It is also the first process science facility to achieve LEED Platinum certification. I2SL congratulates UC Davis on its Go Beyond Award. Learn more about UC Davis' award-winning facility and sustainability efforts. According to the Labs21 Best Practice Guide, "Efficient Electric Lighting in Laboratories," lighting intensity in laboratories is nearly twice that of a typical office space. A lighting audit conducted at UC Davis found that laboratory lighting consumes more than 13 percent of all the electricity used for lighting on the campus. Some of this energy usage can be trimmed by implementing adaptive lighting controls in laboratory areas, but greater savings can be gained with a comprehensive approach that implements building-wide adaptive lighting, particularly in infrequently occupied secondary spaces, such as corridors and stairwells. In fact, the same UC Davis audit found that these spaces consume 12 percent more energy for lighting than laboratories. In areas where occupancy is intermittent, yet minimum light levels must be maintained for safety and security, and to comply with building codes, adaptive lighting provides an excellent solution. With wired or wireless occupancy controls installed, luminaires stay in low-power mode (operating at around 30 to 50 percent of full power) when spaces are vacant. They then brighten to full power when occupants are detected. Incorporating building-wide adaptive lighting controls maximizes energy savings, and this comprehensive approach can make installation more cost effective, resulting in shortened payback periods and increased long-term cost savings. Adaptive corridor lighting in Bainer Hall on the UC Davis campus delivered an average energy savings of 73 percent, with payback periods ranging from four-and-a-half to eight years. While impressive, the results are not surprising, considering that secondary spaces, including corridors and stairwells, are typically fully illuminated despite a low occupancy rate. Bi-level (low/high) lighting installations in parking garages and lots consistently yield average energy savings of 40 to 60 percent, and several CLTC case studies have demonstrated even higher energy savings. End-user and security force feedback on adaptive lighting installations is also largely positive, for both interior and exterior lighting applications. 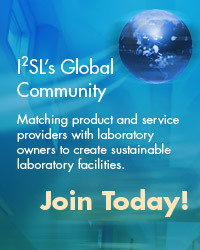 I2SL formed a dedicated Laboratory Lighting and Lighting Controls Working Group at the Labs21 2010 Annual Conference. Lutron Electronics Co. and the working group's other professional members are exploring ways to integrate laboratory design, lighting, and furniture manufacturing, as well as strategies to improve occupant comfort and safety through lighting technologies and controls. Contact I2SL to participate in the group's next meeting. Looking for more info? 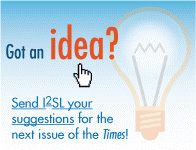 Check out I2SL's E-Library for other great high-tech facility papers and presentations. The I2SL International Sustainable Laboratory Student Design Competition is in full swing! Students are busy finishing their designs and preparing to submit them later this month. The jury is being organized and will have the opportunity to review hundreds of projects from around the world. 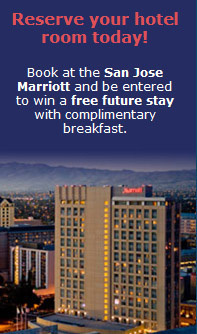 I2SL looks forward to announcing the winners during the Opening Plenary Session at the Labs21 2012 Annual Conference. As mentioned above, you can align your organization with these outstanding students and their brilliant ideas by sponsoring the Opening Plenary Session or sponsoring the competition. Wendell Brase, Gordon Sharp, and Phil Wirdzek of the I2SL Board of Directors will attend and present. Dan Doyle, Tim Kehrli, Gordon Sharp, Beth Shearer, and Phil Wirdzek of the I2SL Board of Directors will attend and present. Gordon Sharp and Phil Wirdzek of the I2SL Board of Directors will attend and present. Learn the best approaches for designing and operating sustainable laboratories through the Best Practice Guides. Franco Atassi, Siemens Industry, Inc.